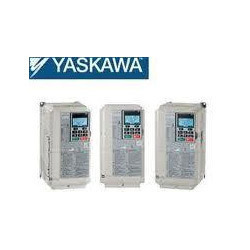 We are one of the well-known names in the industry engaged in offering unmatched quality range of Yaskawa. Manufactured at par with the set industry standards, the range we offer is rugged in construction, reliable and long lasting. 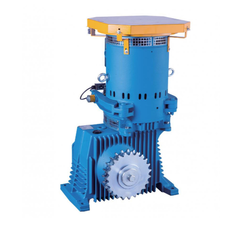 Besides, these are easily adaptable to various applications such as fan, pump, compressor and conveyor, among others. In order to meet the demands of our clients, we offer our range upto 6000kVA along with flux vector control. This helps to ensure high performance and substantial energy savings in various applications. L&T introduces L1000A drive designed specifically for the elevator industry. that meets the current needs & future requirements. 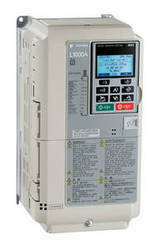 If you are looking for Yaskawa make Ac drives, please contact us. We will do our best to help you find the Inverter Drives that you are looking for at the most competitive prices possible. The Yaskawa A1000 inverter drive features stunning performance, superb flexibility and astonishing reliability. In 2007 Yaskawa, with nearly one hundred years in the supply and manufacture of mechatronic products, produced their ten millionth inverter. The A1000 drive, as a result of extensive research and development, is 55.4% smaller than the F7 and is much more efficient and incredibly durable. If you require further information about the Yaskawa A1000 inverter drive please do not hesitate to contact us if you need further help. 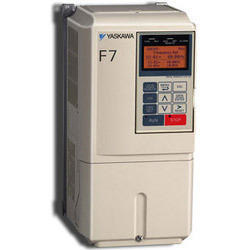 The F7 drive is the Industrial Workhorse of adjustable frequency drives. It is intended to handle every conventional drive application found in the typical industrial manufacturing plant from simple variable torque pumping to sophisticated networked material handling. With excellent performance and a wide array of configurations and options, the F7 can be the single drive platform for an entire facility. Network communications, plug-in I/O cards, custom software, and power/packaging options are among the many choices. For new installations or retrofits, the F7 is truly the Industrial Workhorse, perfect for every conventional application…and even some unconventional ones. Looking for Yaskawa Motor Drives ?